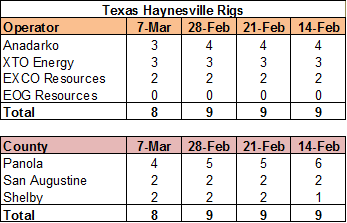 Last week's Haynesville rig count was unchanged at 26, but there was some shifting under the surface. 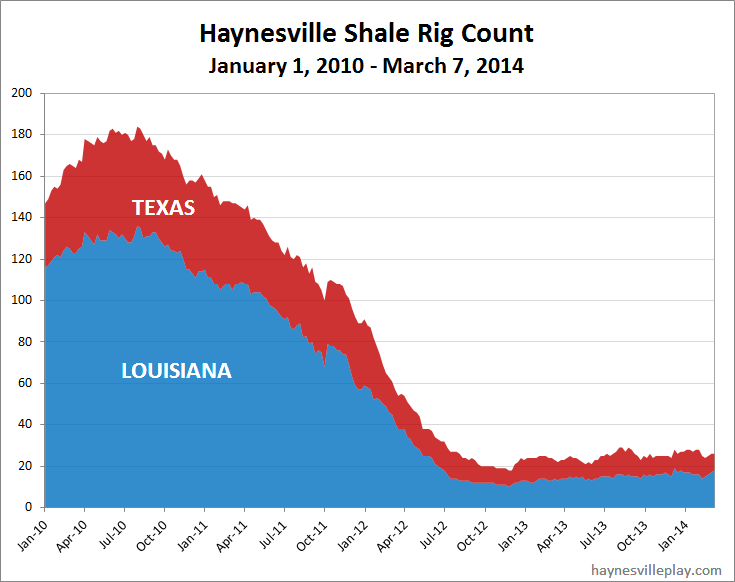 One Anadarko rig moved from Panola Co, TX to Bossier Parish, LA. 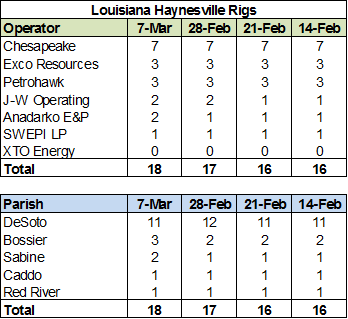 Also there was a new Chesapeake rig operating in Sabine Parish, LA, while another dropped out of DeSoto. Interestingly, it was the first time in a very long time that Chesapeake used a non-NOMAC (house brand) rig. Since the company is looking to sell its oilfield services division to become less vertically integrated, it makes sense to seek the best rig deals, even when it still owns the rig division. Not sure if this is a one-off or a trend.